It’s Time to put some Spring into your Style!!!! Spring means it’s time for a lighter coat and you can’t go wrong with a classic trench coat. But who needs something boring like black or beige? Step into the rainbow and grab a bold and bright colour instead! I love red but there are so many other amazing trench coat colour options out there like Kelly green, Sky Blue or Fuchsia. Colours are just so fun and made for bright sunny days. I hope you go for it! 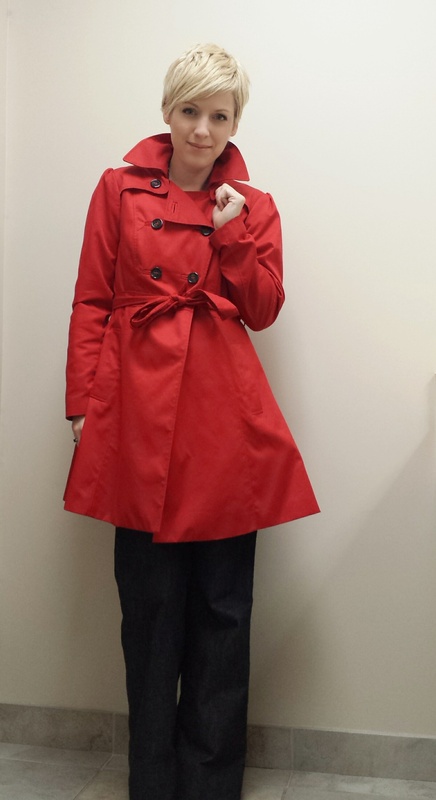 Love the Red Trench!!! You’re right- who needs a boring beige one? Have my eye on a bright pink one from Marshall’s I didn’t buy it, and now I can’t stop thinking about it. I think your post was the sign I needed to go back and get it 🙂 Happy Easter Erin!